Apple today announced two new updates to its iPad lineup. Headlining today’s announcement is Apple’s new 10.5-inch iPad Air. Essentially a replacement for the discontinued 10.5-inch iPad Pro, the newly announced tablet features a fully-laminated True Tone display with 2224 x 1668 pixel resolution and support for the company’s first-generation Pencil stylus. Additionally, it features Apple’s powerful A12 Bionic chipset. The optional first-party Smart Keyboard costs $219. Apple plans to also offer polyurethane and leather Smart Covers at $65 and $95, respectively. The first-generation Apple Pencil, sold separately, costs $129. 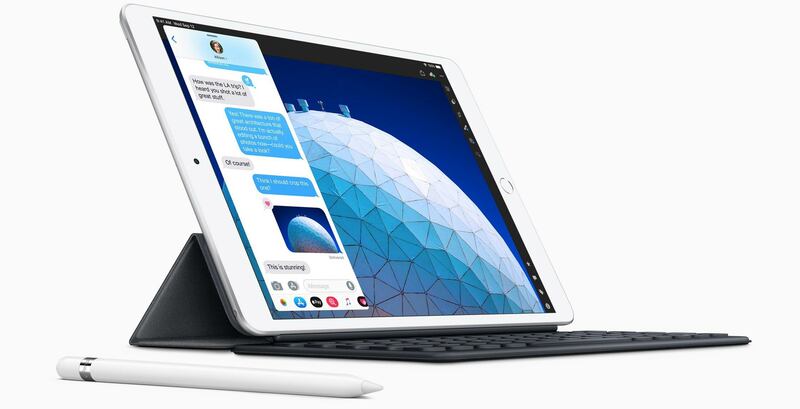 For the first time since 2015, Apple has updated its iPad mini tablet. The new slate device retains the 7.9-inch display of its predecessor but adds an A12 Bionic chipset. Like the new Air, the iPad mini is compatible with the first-generation Apple Pencil. Similarly, it features a True Tone display. According to Apple, the iPad mini’s new display is 25 percent brighter than the display on its predecessor. Moreover, thanks to its small size, the new display features the highest pixel density of any iPad currently on the market. The new mini, with 64GB of internal storage and Wi-Fi connectivity only, starts at $529. The cellular model starts at $699. Canadian consumers can upgrade to 256GB of internal storage for $729 and $899, respectively. Like the iPad Air, the mini is available in silver, space gray and gold.